According to Roofing Contractor Magazine between and 80-90% of roofing work begins with an online search. If you are not online it’s like you don’t exist. One of the biggest factors in getting more work is that your online reputation is solid. We live in a different world now with consumers having an incredible amount of choice and power. A dissatisfied customer can leave a negative review that can hurt your reputation online and cost you hundreds of thousands of dollars a year. You have a Google listing that you rarely use. In fact, you don’t even know that it existed. A disgruntled customer leaves you a negative review. Your business now has a 1-star review out of 5 stars. How many opportunities do you think this will cost you? One of the first things a person does after talking with a business is to search your business online. If you are bidding on a large commercial job who do you think they will give the contract to? A roofing business that has 20 5-star reviews or a business that only has 1 single negative review? People rely on online reviews when making buying decisions. 90% claim that reading a positive review online influenced their buying decision. Over 85% of consumers read online reviews for local businesses. I know this study was for restaurants but believe, me a single negative review can have a big impact in your business if you don’t have positive reviews to offset the negative ones. As a local business owner it’s your responsibility to ensure that your online reputation is solid. In the rest of this article, I am going to go over the top 4 business directories that you should focus on getting reviews. Google My business is the most important directory. Every business should have a listing. This used to be called Google Places. The best thing about Google My Business is that Google provides your business a centralized dashboard in which you can see all aspects of your Google business accounts. There are a few steps you need to take. First, you need to find your listing. You can do that by going to Google My Business and searching for your business. If it’s there then you have to claim your listing. If you can’t find your listing then you have to create your listing. Once you’ve created/claimed your listing you should verify your listing. You can verify your listing on Google by phone, postcard, or email. Once you’ve verified your listing you need to complete your listing. 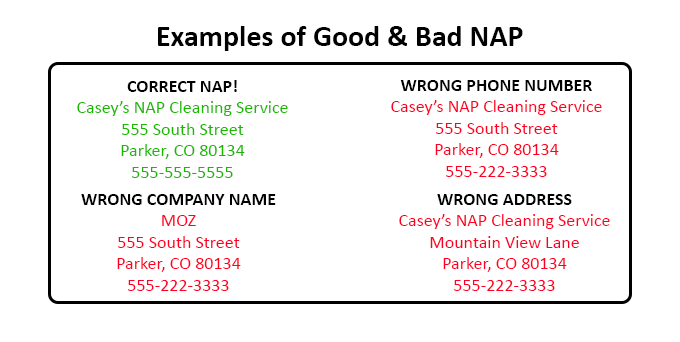 Make sure your NAP (name, address, phone number) are in the correct format. You can read more on how to do this here. Include as many images as possible. Showcase your work. Drone images are the best. Google reviews are the most important because everyone sees them. They also affect your rankings with Google. However, there are difficulties in getting reviews with Google. First, they have to have a Google account, then they have to find your account and finally they have to leave you a review. 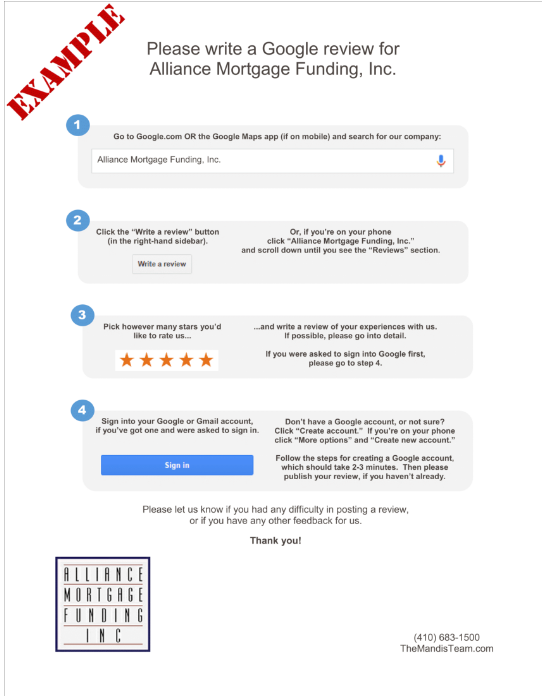 This one-page handout provides clear instructions to your customers on how they can write you a review on Google. In fact, you can write a similar handout with all the other directories if you are up to it. I would have my employees hand out these instructions to every customer so they have a physical copy. I would also have my employees email this handout to every customer so they have a digital copy too. Another strategy you can do on Google is to rank positive reviews as the most helpful. Anyone can do this. Go to your review page and respond to every review either positive or negative and rank the positive ones as the most helpful. This will give you a shortcut for getting more positive reviews. Yelp is unique in the directory space in that they have strict guidelines on what a business can do to generate more online reviews. They want their reviews to be as organic as possible. Another thing to keep in mind is that the average Yelp user has a higher income level. So, if you want to target the more affluent prospect Yelp might be a good place to go. As a roofer, you better believe that a lot of your prospects will be looking your Yelp page and seeing if you have any reviews. 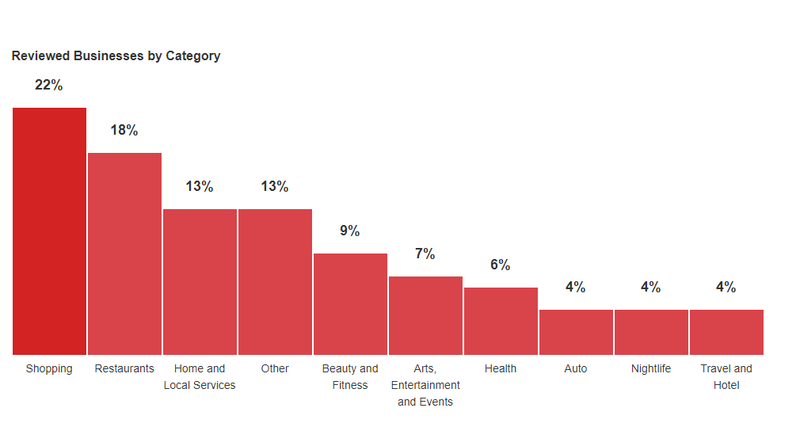 Home and local services are the 3rd most type of business that is reviewed. If you are not getting Yelp reviews your competitors definitely are! Give customers a ‘heads-up.’ Instead of saying “Write a review about our business on Yelp,” instead say, “Check us out on Yelp.” The first is a solicitation while the latter is a “heads up” — an FYI that raises awareness. The difference may be slight, but it’s worth noting. Place a Yelp badge on your website. Yelp offers several badges that you can put on your site, which link to your business profile. Just copy and paste the HTML code associated with each badge into the site. Review averages and counts update automatically as new reviews come in. Put a ‘Find us on Yelp’ sign in your place of business. You can make your own using Yelps brand assets or request one by via this form. Share your ‘People Love Us on Yelp’ recipient status. “People Love Us on Yelp” is a program that provides a sticker and a letter of commendation from Yelp’s founders to companies that qualify based on their history and rating. Stickers are mailed twice per year to all qualifying businesses. Attribute Yelp as the source using the logo guidelines above. Facebook business pages have become a behemoth and are necessary for your roofing business. Every roofing business should have a Facebook page. They are free to create. You can use this link to create a Facebook page in a few minutes. Facebook recently passed the 2 billion user mark. You can verify your Facebook page by having Facebook call you. Here are the instructions on verifying your Facebook page. First, you have to make sure that your review tab is visible and active. Facebook does not have this feature turned on for you. You have to turn it on yourself. Once you’ve turned on this feature you can start soliciting reviews on your Facebook page. Since the user base of Facebook has reached over 2 billion users, chances are pretty high that your customer has a Facebook profile which it makes easier than other directories to get reviews. By responding to every review even it’s a negative review this will get you more reviews. If you have already done the work with Google why not Bing? It’s easy. You can do this in 3 steps. One thing to keep in mind is like the other directories the information your listing has the more impact it will have on your bottom line. Make sure your NAP (name, address, phone number) are correct. Your hours of operation, images of your business etc. Make it part of your business process: You should get every employee to ask your customers for reviews. If you are having trouble getting your employees to do this you can offer incentives to your employees and provide them bonuses to whoever gets the most reviews. Follow Up: If the customer didn’t get a chance to review the first time your employee asked them you should wait 3 or 4 days and follow up with an email asking for a review. You don’t need to be pushy just say something simple like “Hey it was great working with you last week. I really enjoyed working on your roof. Anyways, did you ever get a chance to review us?” Then send them a link to your review page. Email Marketing: You can send emails to your database and ask them to review your work. The best strategy for this would be sending helpful content in the beginning of the email and then adding a PS to your email at the bottom asking them to review your business listing. You can also provide incentives to your customers and ask them to review your listing. You can give gift cards and other cheap items. Respond to every review (even the negative ones): It’s inevitable that you will get a couple of negative reviews. I know a couple of clients of mine have had negative reviews from people they didn’t even work with. And, it’s difficult removing these reviews. You should respond to every negative review and try to provide an explanation of what happened. This will show people that you care what your customers think. You should respond to every positive review as this will increase the engagement of your listing. Wait a while and follow up again: If you didn’t get a review the second time you asked you can send a reminder email a few weeks asking for a review. You don’t have to be pushy but simple 1 or 2 sentence email should suffice. 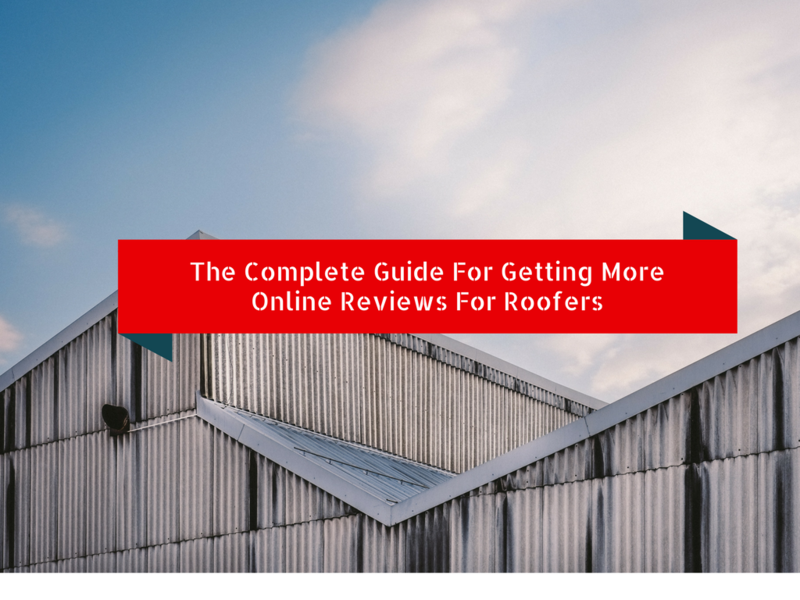 I can’t overstate the importance of online reviews for your roofing business. It’s what separates the roofers who dominate their market vs. those that just get by. Make it a priority to focus on getting more reviews from the big 3 which are Google, Yelp, and Facebook. You should also not ignore Bing. If you only have to focus on one of I would make Google Reviews the main focus. It’s the most important and it applies to both commercial and residential roofing contractors. 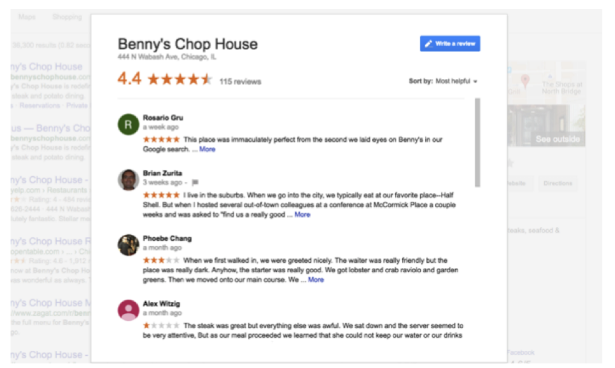 A commercial property owner will likely not check your Yelp listing but they will definitely check your reviews on Google. What do you guys think? Have you used reviews for your business? SEO can be a complicated beast, but it doesn’t have to be! There is an old mathematical principle that appears in business, sports, politics, and science that can make your life easier with SEO and have a big impact on your rankings. It’s called the 80/20 rule or Pareto’s principle. When applying this principle you can beat your competitors and do half the work! It’s amazing how often this law appears across all aspects of life. From business to dating, to politics, you always seem to find the minority dominate the majority and SEO is no different! There are many things that can affect your website rankings. Moz recently published its annual Local Search Ranking Factor reports for 2017. In the report, there are over 200 ranking factors that affect your rankings. From online reviews to keywords, and backlinks, this can get complicated for a newbie. However, with the 80/20 rule, you can make SEO a lot simpler if you follow these three strategies. 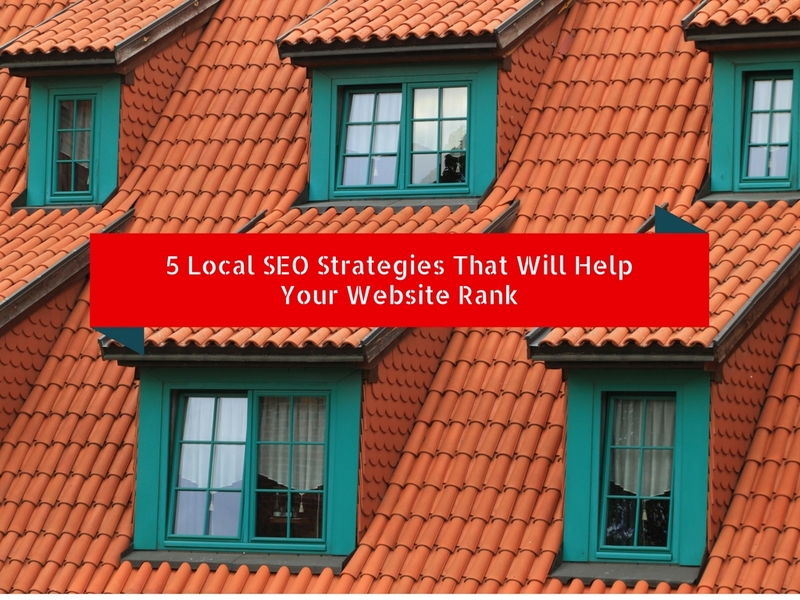 One of the biggest factors in getting ranked on Google is claiming your business on Google. Here are the steps you should take in claiming or adding your business to Google My business. You’ll need to create a Gmail account to access GMB. If you already have one use your Gmail account to log in. If you can’t find your listing make sure to create one. Once you’ve found your business it’s time verify your business. You can do this in several ways. You can verify by a postcard, verify your listing by phone, or by email. 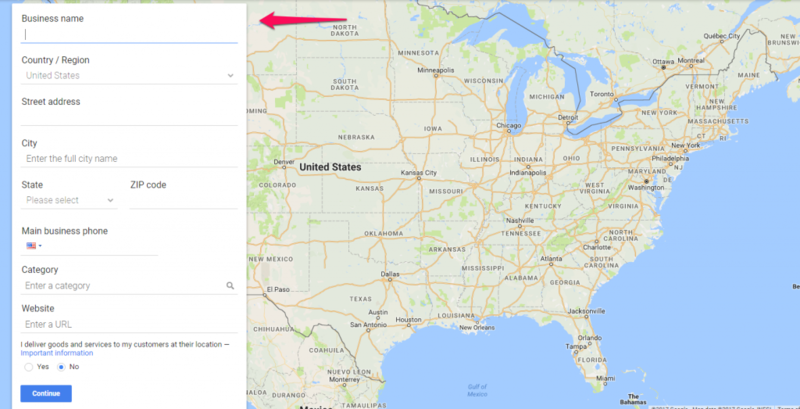 Once you’ve verified your listing on Google My Business you’ll have control of your location, hours of operation, and the category of your business. When choosing a category for your business you should make sure you choose one category that describes what you are and not what you do. If you are roofing business you should choose roofing contractor as the category. Once you’ve made sure that your NAP is correct on Google My Business it’s time to do the same across all the major directories. There are over 50 online directories that you can focus on. I would start with the top 15 and go through the same process for each. Claiming/creating your listing, verifying your listing, and then making sure your NAP is correct across the board. One last thing that will guide you with providing your business accurate NAP information is if you use the designated schema markup that was created for local businesses. This will help search engines easily identify the information of your business. Schema markup simply means the way the data is structured online. For local businesses, things that your listings and websites should have include address, phone number, logo, etc.. The only thing you need to do is change the bold information to match your local business. Over 90% of customers say that buying decisions are influenced by online reviews. Your ability to generate online reviews can make or break your business. Soliciting customer reviews can be tough. The best strategy I have seen from companies that do this well is to make soliciting customer reviews a part of their business process. Having customer reviews is critically important for roofing businesses. A few negative reviews can hurt your reputation and cost you some work. Online reviewers can serve as your brand ambassador. Endorsing your skills, expertise, and reputation can be a boom for people when deciding who to choose for working on their roof. Don’t offer incentives to customers for reviews. This is against most terms of service for review sites. Make a page on your website that provides specific information on how a person can submit a review of your business. 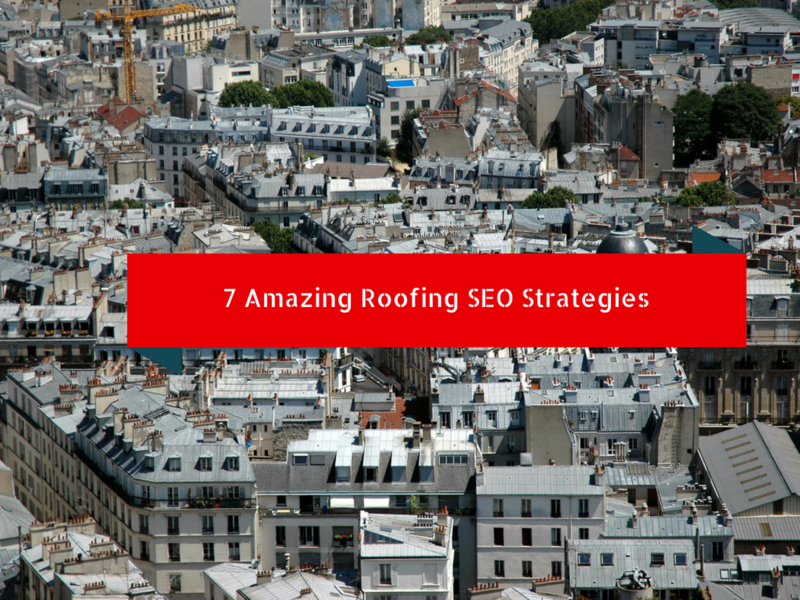 There are a million things you can do to help with your SEO rankings. 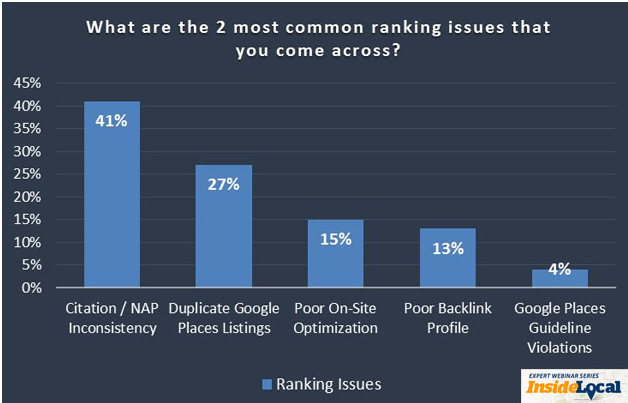 Moz put out a list of least 200 factors that affect your website ranking with Google. If you remember Pareto’s principle aka the 80/20 rule with SEO you can make a big impact on your rankings and ultimately your business. 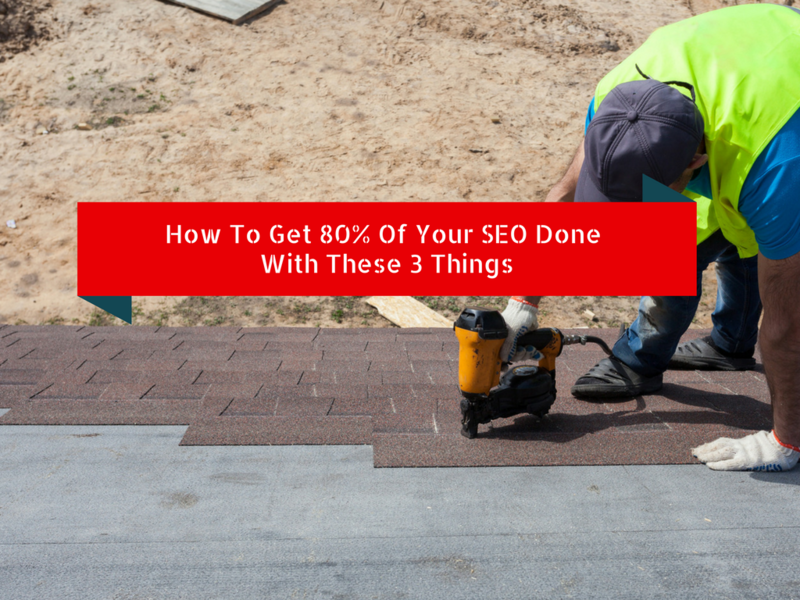 If you do these three things 80% of the work would be done with your SEO.